The trade fair for building, renovation, financing and energy saving boasts a strong focus on environmental and climate protection innovations. It is a very popular annual gathering for trade specialists and for consumers intending to build new houses and extensions with the best and very latest materials and systems the industry can offer. Around 450 exhibitors provide comprehensive face-to-face advice on building materials, windows and doors, modern prefab housing, financing, heating and household technology, spa facilities, and also building biology, building ecology and energy efficiency. Furthermore, the guilds will be staging 'advice islands' to provide free and independent tips, trends and info about subsidies, energy, architecture, building materials - and lots more. 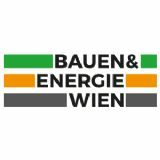 Bauen & Energie Wien is a show that provides around 45,000 visitors with expert advice for their current building and renovation projects in the eastern part of Austria and the nearby regions beyond the national borders.